It’s time to dig out your colouring pencils! The books in the Anti-stress Colouring Collection feature drawings for adults to colour in that can help to improve concentration and aid relaxation in a fun and very creative way. Manual activities are an excellent way to reduce stress while focusing attention on a creative activity can be extraordinarily relaxing. 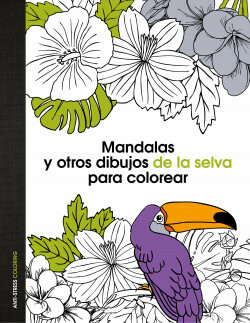 Each book includes beautiful images, mandalas and patterns that turn into genuine works of art. They also include inspiring phrases that open the doors to reflection and help us to feel better about ourselves. You just have to pick up a pencil to awaken your most creative side and enjoy the benefits of this new anti-stress cure. Get rid of stress with Anti-Stress Colouring, a new collection of colouring books specially designed for adults to promote relaxation, concentration and creativity.